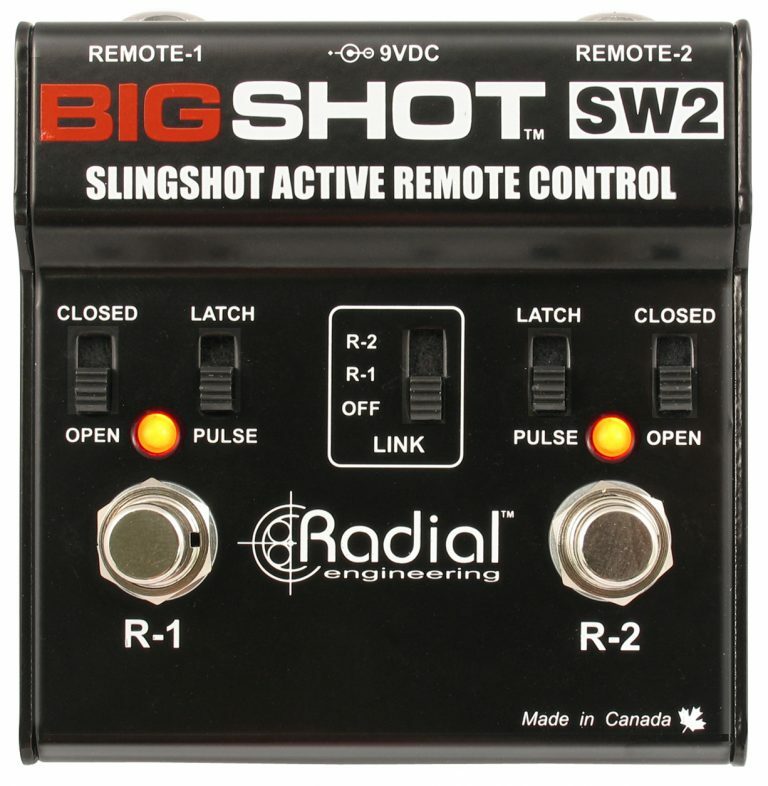 The BigShot SW2 is a two channel universal remote control that can be used to replace the two amplifier foot switches and combine their main functions with a single pedal. 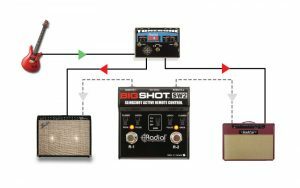 This is ultra cool for pedalboard users that always find themselves short on pedalboard space or need to simplify their setup with a more convenient footswitch. In order to comply with the ‘universal’ tag, both latching and pulse outputs are supported enabling the SW2 to control both older amps with contact closure channel switching and newer amps with electronic pulse sensing. These options are augmented by the ‘LINK’ function that can gang both remote commands onto either foot switch. This could, for instance, switch both amp channels in a stereo rig from a clean rhythm to a distorted lead channel with one single foot stomp. No tap dancing! 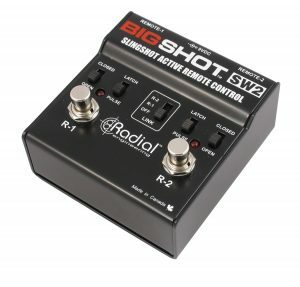 For Tonebone pedal users, the SW2 provides a compact Slingshot remote switching controller that can be used to remotely switch amp heads using the Headbone or remotely switch speaker cabinets with the Cabbone. When combined with guitar amps, the switching capabilities are huge! The SW2 – the world’s first universal remote switcher! 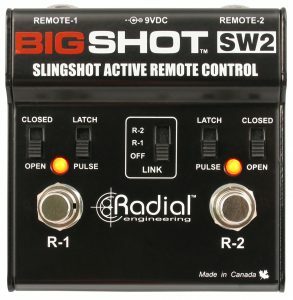 Use the SW2 to switch channels on two amps at the same time! Simply connect into the remote footswitch input on each amp, set to either latch or pulse, set the SW2 to link mode and you are set to go. One foot stomp sets it all in motion. Slingshot equipped devices like the Headbone can be remotely switched using the SW2. 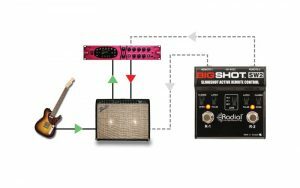 Simply set it to the latching mode and connect to the Headbone VT using a standard guitar cable. Use the SW2's second switch to toggle channels or turn on reverb. The SW2's two channels make perfect for switching an effects processor on or off while also enabling you to select channels on your amp. 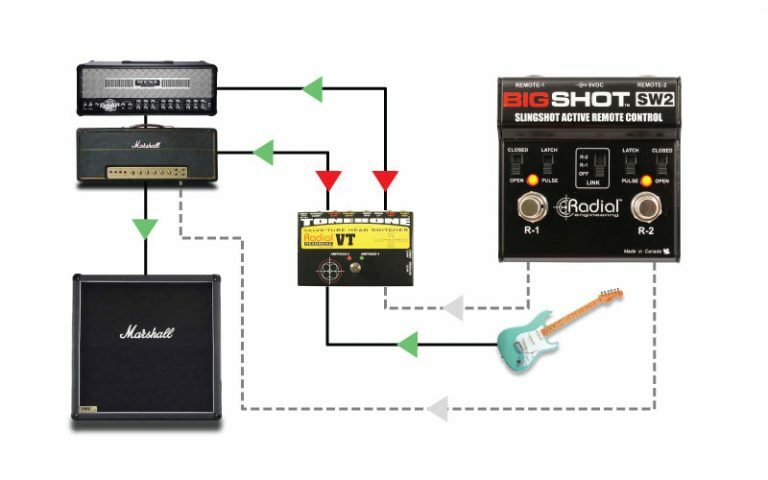 Using the latch switch lets you create the ultimate solo setup such as adding delay and switching channels with a single foot stop.